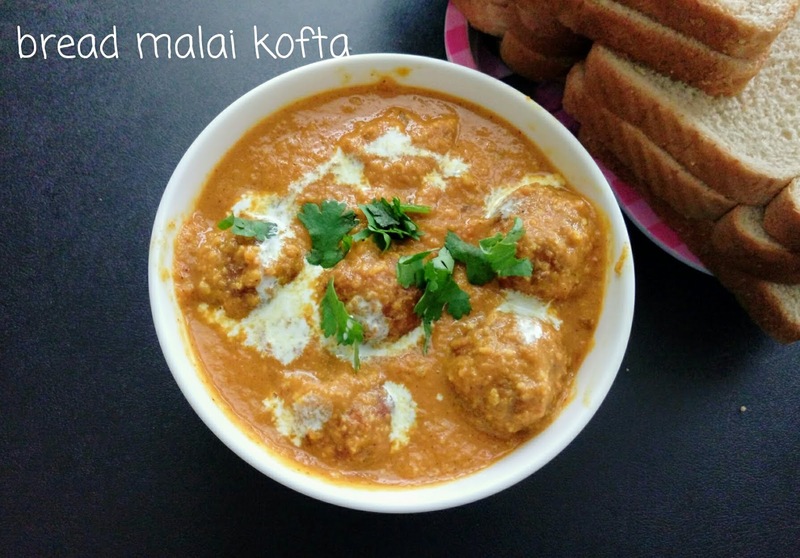 Another alternate way of making kofta.. 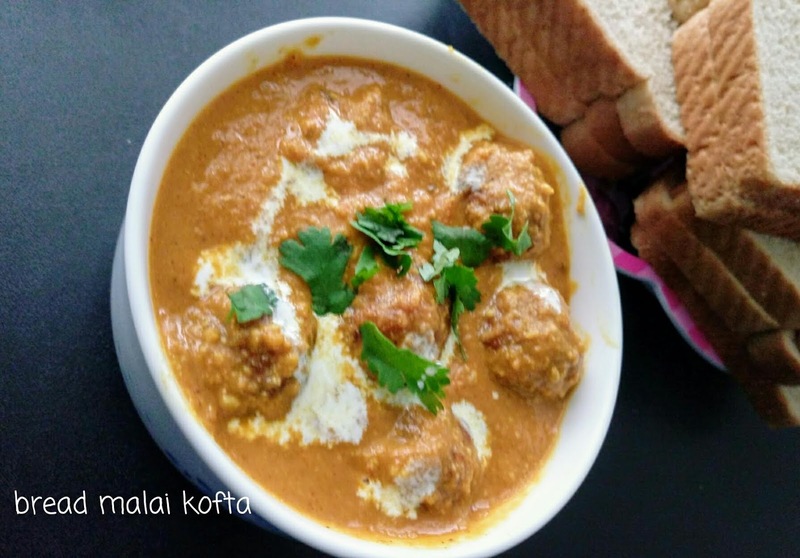 Grind 10 slices of wheat bread..Trim the edges..Make a fine powder...For this,add chilly powder,salt,turmeric powder,minced onions and a tsp of yogurt..Don't add water..Mix everything..To a stiff dough..Shape them into balls..Deep fry in oil..Spread on a tissue paper.. Grind 1 onion,tomato,ginger garlicto fine paste.make a thick paste of cashews too.. 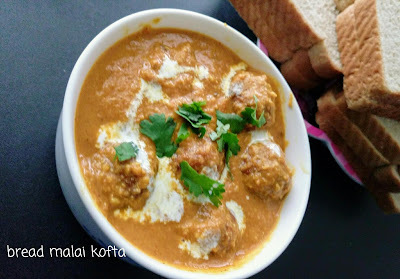 In a pan,add 2 tsps of ghee,cardamom seeds,cinnamon,grinded onion paste..Saute until raw smell goes..Add garam masala,salt,chilly powder,fresh cream, cashew paste,turmeric powder, coriander leaves..Mix well..And simmer for 2 minutes.. Add kofta balls,Finally garnish with cream ..Yummy BREAD MALAI KOFTA IS DONE..